How does an ancient mythical creature turn into a benchmark of American creativity? 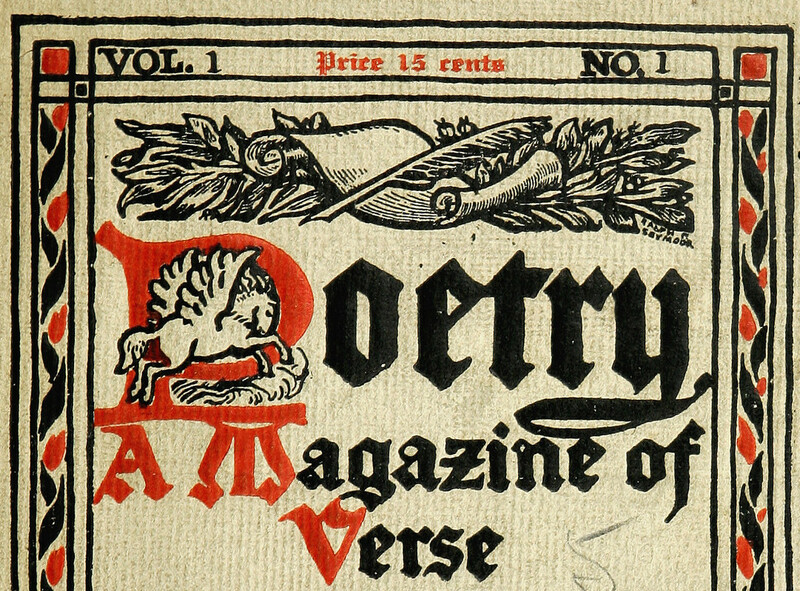 The year 2012 marked the 100th anniversary of Poetry magazine, Chicago’s internationally renowned poetry journal and the oldest monthly devoted to verse in the English-speaking world. Harriet Monroe founded the journal in 1912 after securing her start-up funds from 100 prominent Chicago businessmen, who each promised the support of fifty dollars a year for five years (roughly the equivalent of $1,500 today). 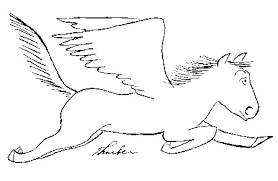 Monroe chose Pegasus, the winged horse associated with the Muses’ fountain on Mt. Helicon, as the magazine’s mascot. 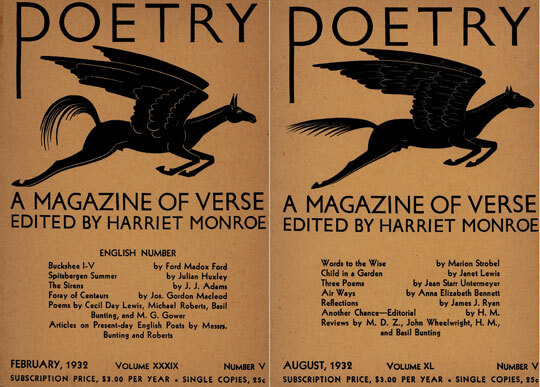 Over a hundred years, his transformations show more than just evolving magazine design–they track an elastic relationship between classical imagery and contemporary imagination, in American poetry as well as broader literary and artistic movements. 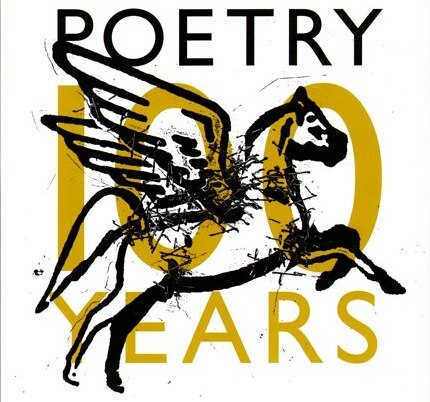 Poetry’s Pegasus shifted shape according to the creative Zeitgeist throughout the twentieth century (read more about it here on the Poetry Foundation website) from Art Deco variations to James Thurber’s whimsical Pegasus, to even a complete exile from the magazine (1983-2003; the refutation and absence of classical imagery says just as much as its presence).